Karen O’Connor and Captain Mark Phillips are among the new inductees into the United States Eventing Association’s Eventing Hall of Fame in 2018. They are joined by Out and About, one of the greatest eventing thoroughbreds of all time, and Nina and Tim Gardner, active supporters of the sport for many years as owners, breeders, and volunteers. The new inductees that will join the 40 other members of the USEA’s Eventing Hall of Fame. They will be formally inducted during the Hall of Fame Gala at the 2018 USEA Annual Meeting and Convention in New Orleans, Louisiana, in December. Karen Lende O’Connor has competed in five Olympic Games, three World Equestrian Games, and two Pan-American Games. In 1993, O’Connor was the number one ranked lady rider in the world and she has been named US Female Equestrian Athlete of the Year 10 times. O’Connor began competing internationally in the late 1970s and began riding with the US Equestrian Team in 1986 at the World Championships in Gawler, Australia, where she rode Lutin V. In the 1980s she won multiple CCI3* events and rode for the U.S. in the 1988 Olympics in Seoul, South Korea. During the 1990s, O’Connor and her USEA Eventing Hall of Fame partner Biko were mainstays of the U.S. team, riding to multiple top-ten finishes at major international events including the Badminton Horse Trials and Rolex Kentucky Three-Day Event. Other well-known mounts included Joker’s Wild, Theodore O’Connor, Veronica and Mr. Medicott. She finished ninth at the 2012 Olympics in London, England with Mr. Medicott, where O’Connor served as the highest-ranking US rider at the Games that year. O’Connor was also noted as the oldest Olympian to represent the US in any sport at the London Games, paying tribute to her lifetime fitness programs and dedication to the sport. On October 6, 2012, O’Connor fell while competing Veronica, suffering burst and compression fractures in her vertebra and later undergoing surgery that would input two permanent titanium rods to support her spine. Fighting all odds, she made a strong recovery and in 2015 was appointed the Team Coach to the Mexican Eventing Team. O’Connor now spends her time teaching students, commentating at international events, and inspiring others through motivational speaking. 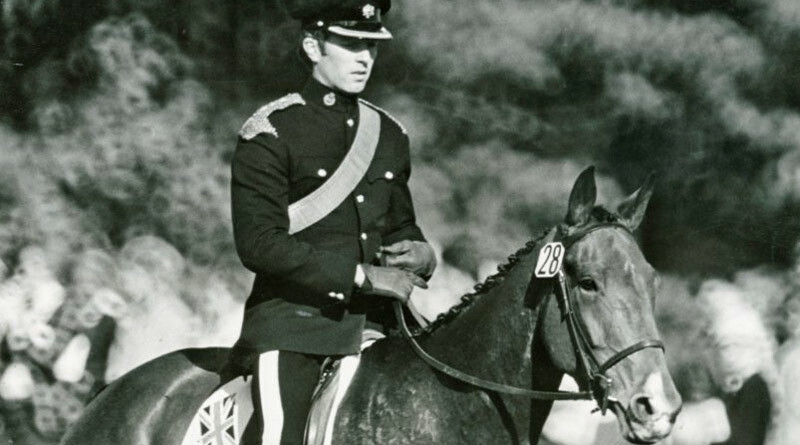 Captain Mark Phillips began his eventing career in the Beaufort Hunt Pony Club, riding alongside Mike Tucker and under the Olympic gold medalist, Colonel Frank Weldon. He went on to win a team gold medal for Great Britain at the Munich Olympics in 1972 and was on the gold medal winning British teams for the World Championships in 1970 and European Championships in 1971. Phillips won Badminton Horse Trials four times, in 1971, 1972, 1974, and 1981. He also won Burghley in 1973 and represented Great Britain on two winning Nations Cup show jumping teams. Phillips retired from competing in 1988 after earning a team silver medal at the Seoul Olympic Games. Following his retirement from competition, Phillips focused on his cross-country course design career. He designed the Burghley CCI4* course from 1989-1996, 1998-2000, and 2005-present, and also designed the Luhmuhlen CCI4* course for 12 years. In the U.S. he designed the USEA American Eventing Championships for several years and is currently the designer for several events including those held at the Tryon International Equestrian Center and the upcoming World Equestrian Games. In 1994 Phillips took on the role of Chef d’equipe for the US team and held that position for nearly 20 years. Under his guidance the US won medals at the 1994 World Equestrian Games, Pan American Games, and Olympic Games. Phillips met his first wife, Princess Anne, the Princess Royal, while competing on the eventing circuit and the two married in 1973. They had two children, Peter and Zara. Zara would go on to become a top eventing competitor herself, winning individual gold at the 2006 World Equestrian Games and team silver at the 2012 Olympic Games. Phillips remarried to top dressage rider, Sandy Pfleuger, in 1997 and the two had a daughter, Stephanie. Out and About (“Outie”), a 16.2 hand dark bay Thoroughbred gelding (L’Amour Rullah x Incarnadine), was Kerry Millikin’s horse of a lifetime and one of the greatest eventing Thoroughbreds of all time. Outie and Millikin traveled the world together, racking up numerous victories for the U.S., including an individual bronze medal at the 1996 Atlanta Olympics and team bronze and individual 15th at the 1998 World Equestrian Games in Rome, Italy. To add to their impressive resume, the pair also finished fifth at the Blenheim CCI3*, fifth at the Kentucky Three-Day Event, seventh in the Open European Championship at Burghley, and third at the Badminton CCI4*. From Badminton, Burghley, Kentucky, and Blenheim to the Olympic Games and World Equestrian Games, Outie and Millikin did it all. Other than a handful of time faults, Outie’s cross-country record was nearly flawless. Never having a stop, runout, or any sort of trouble on course, Outie was the epitome of an eventing legend. Full of strength, talent, determination, and poise, this duo could accomplish anything. Retiring from competition in 2000, Outie lived the rest of his years happy and carefree. In 2015, Outie passed away at the age of 28 (1987-2015). Acquiring him off the racetrack at just three years old, Millikin and Outie spent 25 triumphant years together. Nina and Tim Gardner have been active supporters of the sport and its future for many years as owners, breeders, and volunteers of the Association. They have a passion for developing young talent, both in horses and in riders. The Gardners began supporting Phillip Dutton more than 25 years ago, early in his eventing career in the United States. Among his many accomplishments with the Gardners horses over the years, Dutton rode the Gardner’s homebred, House Doctor, to team gold at the 2000 Sydney Olympics and individual fifth place at the 2002 World Equestrian Games. The Gardners helped Dutton and his wife, Evie, buy True Prospect Farm, which has become a well-known training center for professional eventers in the United States. Jennie Brannigan began working with the Gardners while she was a Young Rider working for Dutton at True Prospect Farm. Ten years later, Brannigan and Cambalda have won numerous three-star titles. The Gardners’ eye for developing talent in horses and riders is evident in the success of the horses they own and riders they support. They have been breeding Thoroughbreds for more than 40 years. While many of their Thoroughbreds go to the track to race, the Gardners’ breeding program focuses on producing an all-purpose Thoroughbred that will go on to have a long and successful life after the track. One shining example of this is Twilightslastgleam, a homebred of the Gardners whose bloodlines have been in the Gardners breeding program since the early 1980s. The Gardners have registered more than 55 horses with the USEA, demonstrating their prolific support for the sport despite not being actively competing riders themselves. In 2015, Tim and Nina Gardner received the PRO (now ERA of NA) As You Like It Owner’s Award, which was established to honor owners who have not only supported a rider’s career but have also been a positive influence to the sport of eventing.